The great H.U.M have been played on France Culture radio station. 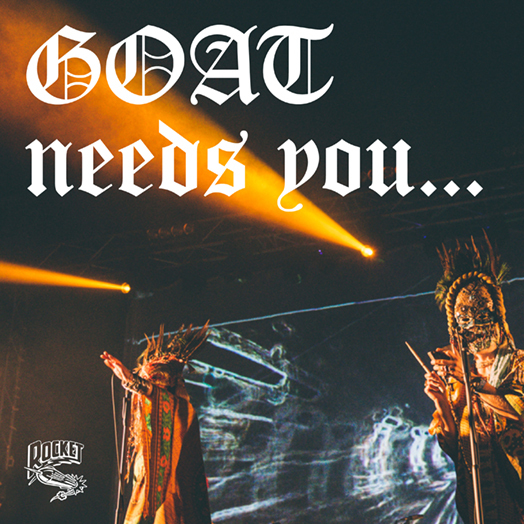 Thanks to everyone who applied to be in the audience for next Sunday's Goat performance that is bring filmed for a motion picture. The response for the ltd places was immense and the movie's production team were overwhelmed with the amount of people they had to choose from. 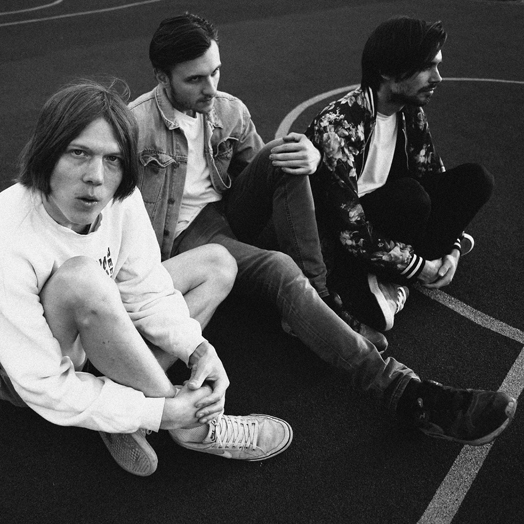 Flowers Must Die played their first UK shows at the beginning of the month...and here, you can watch their full set at the great Supernormal Festival. Lauren Laverne gave new Josefin Öhrn + The Liberation track 'The State (I'm In)' it's first public airing today on here BBC6 Music morning show. 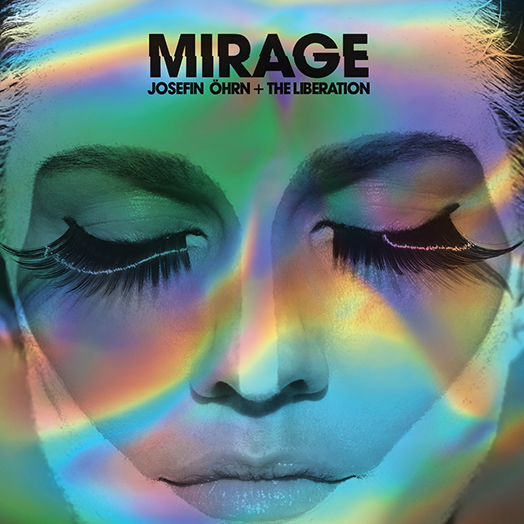 The track is taken from Josefin Öhrn + The Liberation new album Mirage which is released on 14 October. Ahead of Goat's performance at this weekends Today's Festival the band have been interviewed by Beat & Style magazine. Defining themselves as ‘stargaze’ – a state in which you lie on the grass, tell funny stories to your friends, and watch the shooting stars – it is here that the Russian trio dislocate themselves from genre tags designed for the associative algorithms of digital space. Instead they enter the organic waves of an open mind that celebrates authentic connection and release. In the constellation of sound they would appear as a new configuration of (as yet unnamed) lonely angels; while the oracle would map them on Friday, September 23 as having Euphoria rising in the sky just above Camp and Furnace. Gnoomes‘ relationship with their isolated Russian location in Perm has enabled them to build a creative ethos that values the power of the imagination, and the promise of new beginnings. 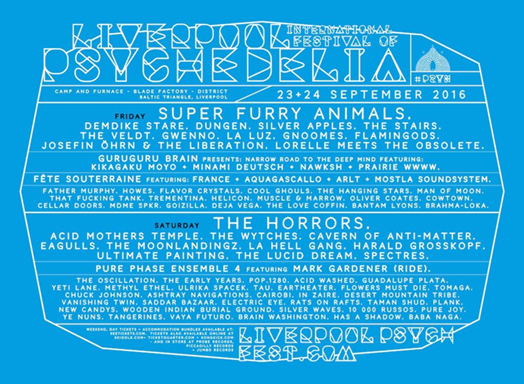 See them at Psych Fest for a lucid dream and that uncanny feeling you’re hearing myths that haven’t reached our solar system yet. 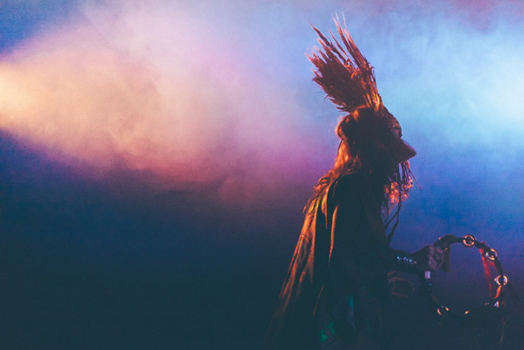 Josefin Ohrn and the Liberation’s electro beats look set to provide the pulse to this year’s festival. The imminent release of their forthcoming album Mirage will enjoy an already established fan-base of the Stockholm band. 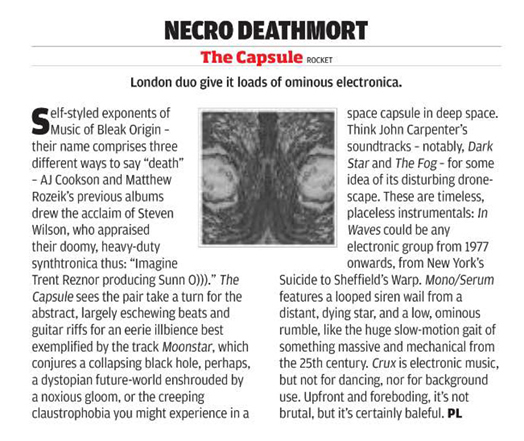 They have described this new experimental offering as capturing ‘the power of being completely lost and thriving on it’. Josefin Ohrn and the Liberation are the dreamy journeymen of the half-state; the band’s name references the Tibetan Book of the Dead and the limbo-like state that occurs before a soul reaches full liberation. It is fraught with approaching delusions that one must resist. In the case of Mirage the hypnogogic is something to be identified with. They request your presence for these ‘elegant nocturnal serenades’ at Psych Fest. And don't forget, we also have the great FLOWERS MUST DIE playing!! Gnod are playing a great alldayer in Sheffield this Saturday as show on the poster above. Goat play Today's festival in Torino, Italy. 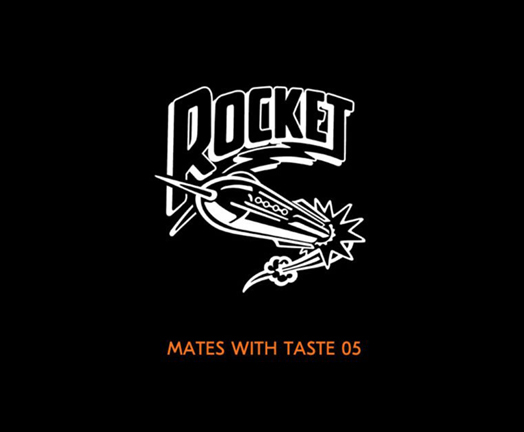 To celebrate this weekends Rocket Recordings All-dayer, we have put together a Spotify playlist featuring classic rocket tracks from the back catalogue, featuring one track from each release that is available. Ahead of Anthroprophh's show at the Rocket All-dayer this Saturday, here is a full show they played recently at the Star and Garter in Manchester. 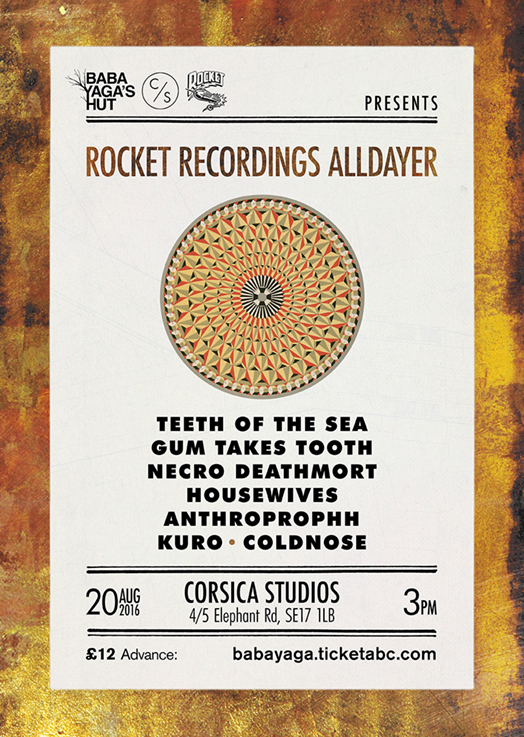 Goat are playing a very special performance on Sunday 4th September in a warehouse space near Stratford in East London. The show is being filmed as part of scene from a motion picture being made and we need 100 Goat fans to be in the audience. If more than one of you want to apply then please send us both persons details in the same email. Max of two per application. The 100 lucky Goat fans will be selected by the film's production team. All filming will be finished by 2pm. All applications have to be sent to us by midnight Wednesday 24th August, any applications after this will be ignored. 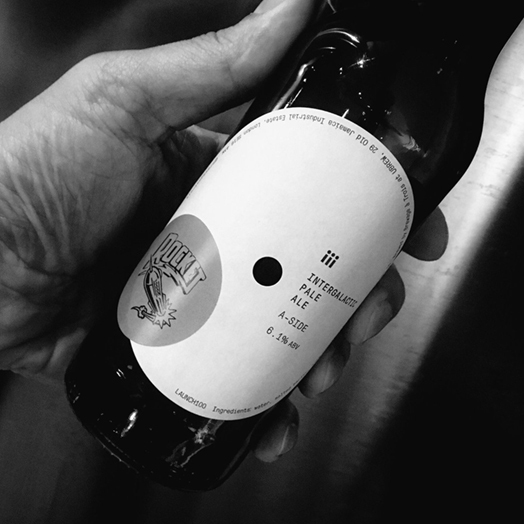 The lucky 100 will be notified on Monday 29 August. “Alarms” highlights the folk influence that runs through Requiem, with acoustic guitars and hand-percussion instruments driving the song, while retaining the hypnotic vocals and fuzz-drenched guitar leads the band is known for. Requiem finds GOAT focusing more on their subdued, bucolic ritualism than psilocybin freakouts, with a pronounced folk-rock influence pervading the album. 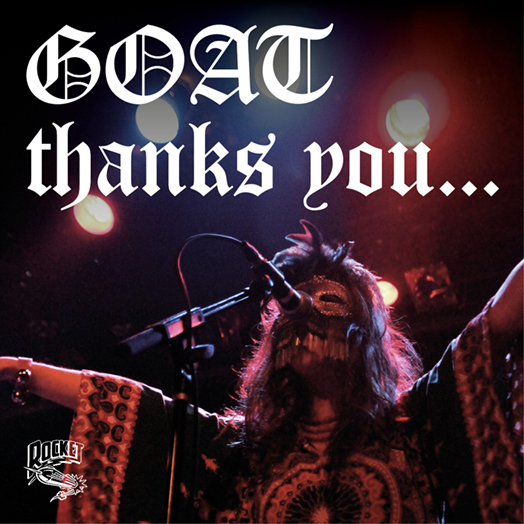 But GOAT hasn’t foregone their fiery charms—tracks like “All-Seeing Eye” and “Goatfuzz” conjure the sultry pulsations that ensnared us on 2012’s World Music and 2014’s Commune. Another band who've been confounding expectations since their first release Orphaned By The Ocean dropped way back in 2009, they're also one of the few bands under the current psych-rock umbrella that actually embrace the original mantra of psychedelia in constantly experimenting and pushing things forward. What's more, their live show is a spectacle that demands to be witnessed in all its indefatigable glory. Dom Thomas from Finders Keepers and Whyte Horses put together a mix for Stuart Maconies Freak Zone and it was aired last night. Here is our 11th instalment of Multiple Exposures, the series where we ask people to give us a list of their 15 favourite pieces of repetitive music. This time we have a great list from Alessio Gastaldello from the Italian psych band Mamuthones. First krautrock track I loved. That first listening was so important to me that my e-mail address is still yoodooright@XXXXXX.com . CAN were capable to mix effortlessly the sheer physicality of funk and a more intellectual approach to music that is still unparalleled: James Brown meets Stockhausen indeed (without the boring bits). Neither my favourite Velvet song nor their most repetitive one (what about the “What goes on” version out of the “1969” live album?). But when I saw them in 1993 (and I was a still very impressionable kid), their version of this song just floored me. Moe Tucker stood behind her kit, like a worker at his desk, and started mercilessly hammering the bass drum with the right hand while holding herself up with the left one. She just did this “tum-tum-tum” thing for 10 minutes straight. I think she is the best drummer of the world. Because it must be present in such a list! Giusto Pio was a long-standing collaborator of Italian singer-songwriter Franco Battiato. “Motore Immobile” is the side-long title track of an album released by Cramps Records (Area, Arti & Mestieri etc): when I had the chance to listen to it with Makoto Kawabata, he just dryly commented: “Very minimalistic!”. Pink Floyd are the first band I loved when I was fourteen. I think I lost part of my QI listening to the “At Pompeii” version too many times… generally chanting to myself “Set the controls for the heart of the sun… ahahaha Set the controls for the heart of the sun” (I still do this!). I don’t like going to disco but I can appreciate some club music… especially if it is made by a great musician like Manuel Goettsching (I was tempted to put Ash Ra temple’s “Flowers must die” in the list but there’s already enough mind-damaging krautrock on it so I went for some krautsynth). It’s very difficult to pick only a track from the “Remain in light” album. Each song is a perfect repetitive song. I chose this one because I love the way they are able to add layer after layer of intensity while keeping everything under control (and yes, Andrew Belew is one of my favorite guitarists: check also King Crimson’s “Sleepless”, especially the Kevorkian club remix, for some truly trance-like NY disco). I discovered 23 Skidoo only some years ago, but what a discovery! Dark, tribalistic wave dance that today sounds even fresher than in the early Eighties. I love them. I chose this because it is the first EN track I heard and it reminds me of my first visit to Berlin. Good singing by Blixa, great percussion work. 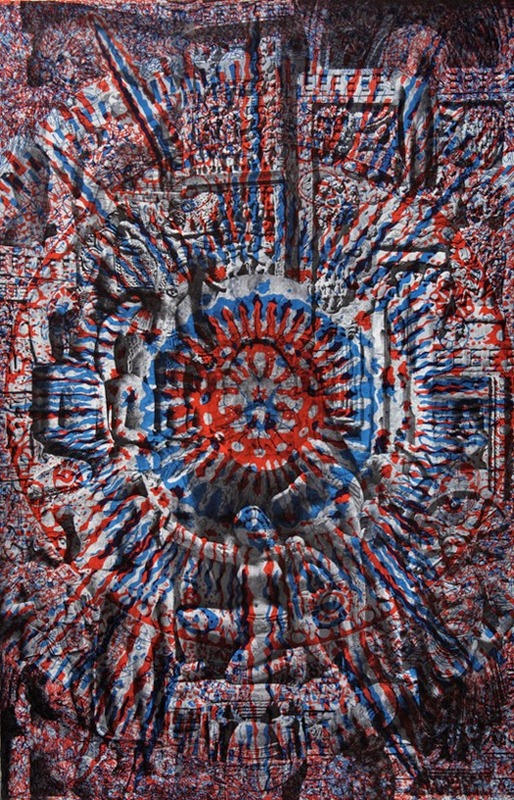 Grey, water-coloured psychedelia from another of my favourite bands. The hypnotic bassline is of course ultra-classic, Tolhurst’s less than “less is more” drumming gives a new meaning to the word “minimalism”. When we were kids, we used to challenge each other in singing “again and again etc” without taking breath. The long suite on the first side of this album is a completely stunning tour de force of two-note bass funkiness paired with some of the most distorted guitar-playing this side of Funkadelic’s “Maggot brain”. I guess at the time it sounded like a crazy jump into the unknown: today, it sounds even more futuristic than in 1972. Another krautrock track? Yes… however it’s amazing! The “Oh gi ran ja ran” chant is like a hellish version of the “Nam myoho renge kyo” buddhist invocation. This song manages the trick to be absolutely mesmerizing and at the same time totally stupid, in a bored-teenager-stoned-on-his-sofa way: basically the unholy marriage of avant-gardish pretentions and wild American garage rock that made the Stooges so special. John Cale’s viola is just the icing on the cake. Another slab of teenage American boredom at its best/ worst: “Now I wanna sniff some glue/ Now I wanna have somethin’ to do” (ad libitum). Nevermind Ginsberg and Ferlinghetti, this is real poetry (especially if combined with Johnny Ramone’s chainsaw guitar noise). As things in Turkey appear to be going from bad to worse, website Bantmag approached wesetern artists to create a 'mixtape for Turkey', as bands won't travel there, at least it shows that western bands are still thinking of their Turkish sisters and brothers. 6- Folke Rabe – What?? We are extremely excited to announce that Josefin Öhrn + The Liberation are to release a new album called 'Mirage' on 14th October. You can listen to the first track to be revealed from the album called 'In Madrid / Rainbow Lollipop' at the bottom of this post . 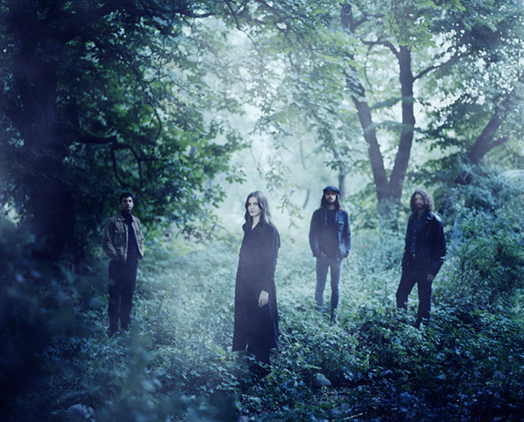 Taking their moniker from the notion of ‘Liberation Upon Hearing In The Between’ from the Tibetan Book Of The Dead, Josefin Öhrn + The Liberation’ took little time to make their mark on the wider world, brandishing a radiant sound that stands effortlessly apart from the increasingly staid and often paradoxically predictable world of modern psychedelia. 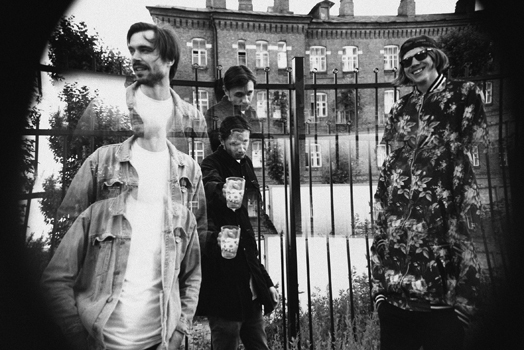 Having already been nominated for a Swedish Grammy with their debut EP, Diamond Waves, their full-length 2015 debut on Rocket Recordings, Horse Dance marked out a territory in which beguiling repetition could sashay with sweet pop suss, melodic flourishes with experimental intensity, and it was summarily rapturously received on arrival, making new fans like 6 Music’s Lauren Laverne and earning them appearances at Roskilde Festival and Eindhoven Psych Lab. Indeed, this hypnagogic approach seems to fit well with the primary inspiration for the five-piece, which centred on ‘the state where dreams, visions and the present are entwined’ - the domain of surrealists and mystics, not to mention cinematic epiphanies such as Morgiana, Daisies and Tarkovsky’s Solaris. 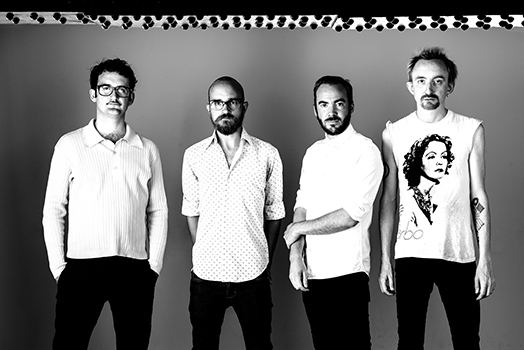 True to form, Mirage see the band taking a chic tradition of avant-pop that extends all the way from Serge Gainsbourg and Françoise Hardy to Broadcast and Saint Etienne, and warping it mercilessly to their own darker ends. Whilst the brooding yet sultry ‘Sister Green Eyes’ is no less than a sharp slice of velveteen motorik-pop and ‘Looking For You’ reinvents three-chord garage-rock attack with mighty finesse, The Liberation are just as comfortable dealing out the heavy-lidded and electronically-driven ‘In Madrid’ or the dive in the hallucinatory deep end of ‘Circular Motion’, on which they’re aided and abetted by Lay Llamas’ Nicola Guinta. 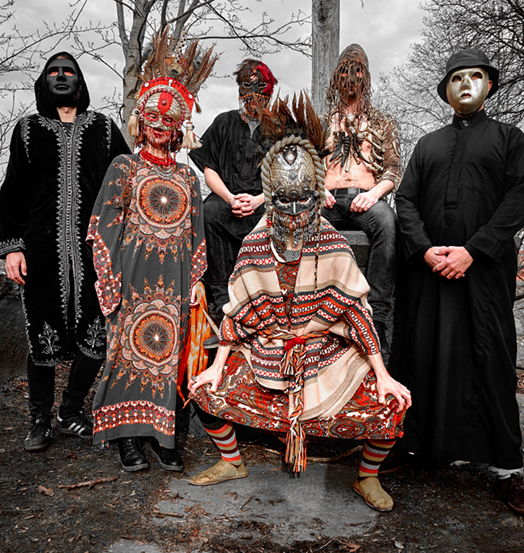 Fresh excitement for the band lies in wait, courtesy of a UK tour with Goat and an appearance at Liverpool International Festival Of Psychedelia, yet amidst the psychic forces responsible for this kaleidoscopic effort who can say what will follow. “Horse Dance was very much about conjuring the strength needed to cut ties” the band elucidate. “Mirage may be about having left but having no clue what's next - the power in being completely lost and thriving on it” Yet the seductive splendour of these ten songs make manifest a parallel world of disorientation and deliverance in which one would be a fool not to want to languish adrift. 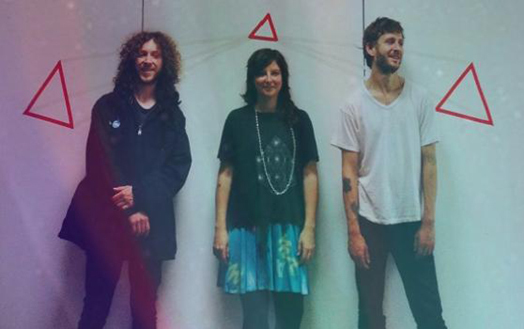 Gnoomes have added another date to their up-and-coming tour. 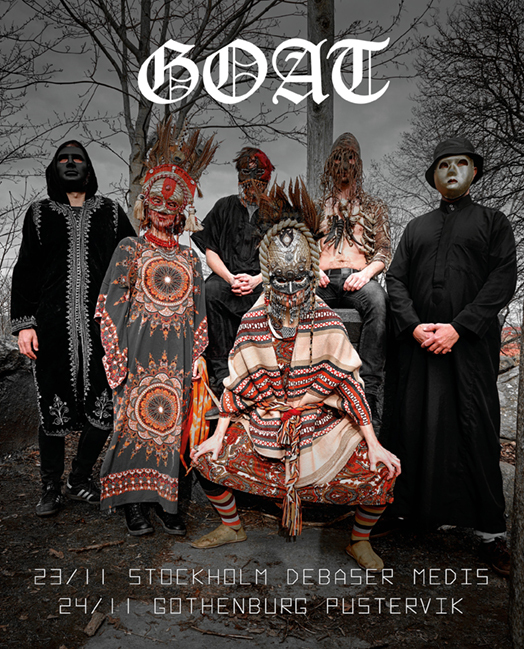 Goat have announced that they are to play Oslo Psych Fest, Norway on November 11th - 12th. The Band join the likes of The Fall, Circle, Al Lover, Pharaoh Overlord & Les Big Byrd with more to confirm. God Unknown release Goat track on split 7"